Berwick Viewfinders Camera Club Inc. Quick Points from Lightroom Tutorial by Barry (April 15. 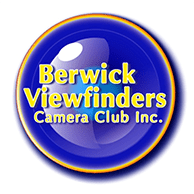 2019) - Berwick Viewfinders Camera Club Inc. These are just quick jottings to help you jog your memory. A previous tutorial suggested a starting point might be. An update and good variations to previous processing tips. Use the Brush tool or radial gradient filter. When might you use Presets and Profiles.